Awesome! Love your style, Wayne! Loved this cartoon- great representation, Wayne! 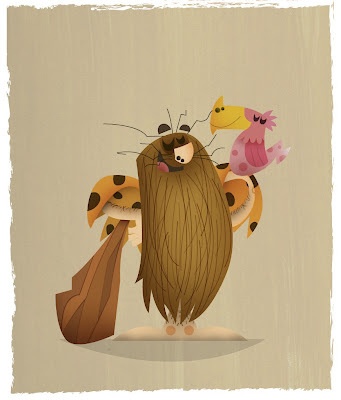 Has anyone else wondered if Captain Caveman and Cousin It were long lost relatives... or is that just me? I love Hanna-Barbera cartoons more than any other. This is so fantastic, all 3 really! We are definitely going to have to celebrate an all Hanna-Barbera theme at some point. What do you guy's think?